Does Romans 14 show that the Fourth Commandment about the seventh-day Sabbath is no longer in effect? 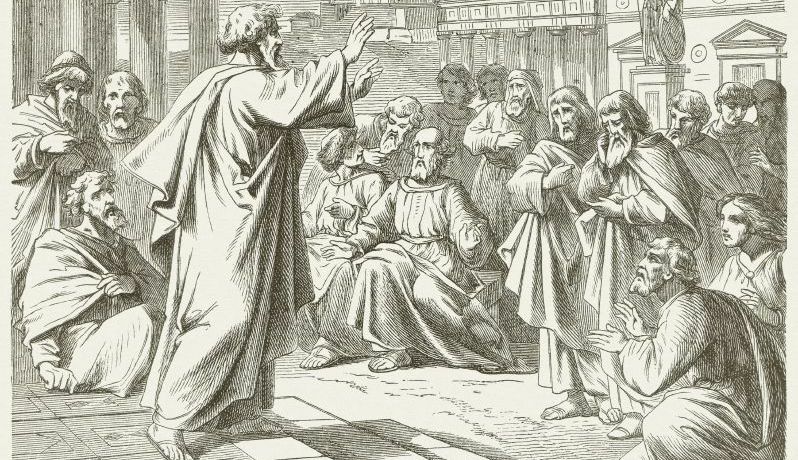 What was Paul addressing in this chapter? As that article explains, the first subject had to do with “doubtful things,” yet Paul would never refer to the Old Testament as “doubtful.” The Greek word for “doubtful” means “reasonings” or “opinions” (NKJV Study Bible, 2007, notes on Romans 14:1-2). In other words, Paul was addressing matters of personal opinion in this chapter, not matters of law. If we fail to think the subject through completely, these verses might seem to support the hypothesis that Paul was saying there is no Sabbath. But think through what the practical consequences would be of teaching that there is no Sabbath day made holy by God for worshipping Him. It would mean that one believer could decide that Monday should be his day of worship, while another might be convinced Wednesday would suit him. Still another might find Friday more convenient. Quite likely, in a large group, each day of the week would be chosen by some. And, according to those who say Paul was talking about the Sabbath in Romans 14:5-6, everybody would be right! What confusion that would cause! There would be no true “congregation,” which means a group that “congregates” or comes together for a meeting. When would they meet for worship? Which meeting day would God bless, if any? There would be no cohesion, no community of believers. When thought through to the logical conclusion, the claim that Paul was teaching there is no Sabbath is obviously wrong. Notice also that the word “Sabbath” is not even mentioned—it is not the subject. Notice also that “day of worship” is not mentioned—that isn’t the subject either. Paul is not talking in verses 5 and 6 about people picking their own weekly day of worship! Choosing not to eat for a day in order to “observe it to the Lord” referred to choosing a day on which to fast. When one fasts is an individual matter. The tone Paul takes continues the theme from the first few verses. To put it in plain language, he was saying that strong-minded (opinionated) believers should not try to force their personal preferences on each other about individual matters. Romans 14 is about believers needing to respect personal differences between themselves; it is about not assuming that one’s opinion is right or that a differing opinion is wrong. A good summary of the chapter is: Put a higher value on keeping unity in the community of believers than on your personal opinion when it comes to eating meat versus vegetarianism, fasting or not fasting on a given day or about diet in general, “for the kingdom of God is not eating and drinking, but righteousness and peace and joy in the Holy Spirit” (verse 17).